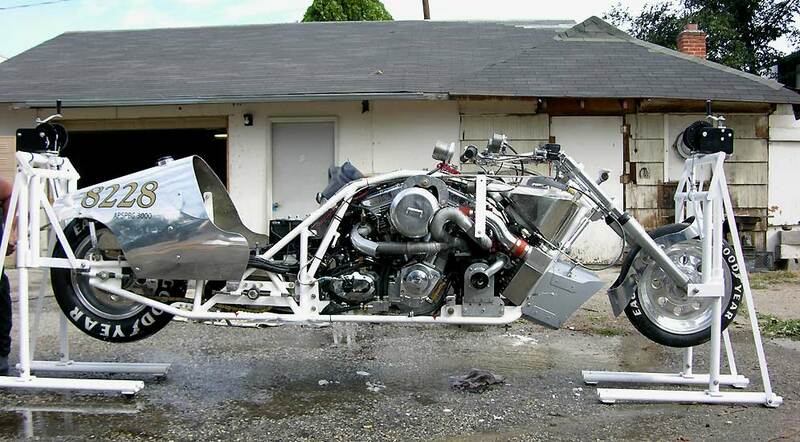 Horsepower is related to airflow and airflow is limited by the pumping capacity of a given engine displacement . Given a certain engine displacement and certain other factors you can calculate how much boost will be required to achieve a stated level of horsepower. Then it's off to the compressor maps to check airflow v. pressure ratio. In choosing a particular turbo you need to know how many Pounds Per Minute or CFM the turbo compressor map indicates for a particular pressure ratio (boost pressure). You cannot make more horsepower that your turbocharger can supply...For instance if your turbo peaks at 360 horsepower (about 44 pounds per minute) it simply is not going to make any more horsepower no matter what the calculator says. Above is the Bonneville Bullet, back from Bonneville...washing off all the salt. If you are just credit-carding your way to glory you can skip this calculator. If you're a builder, fabricator, or a "designer", whatever that means, then sit down and do the math. If you don't do the math you will always pick the wrong turbo for your engine. We can't tell you how many people have called us up telling us they would be happy with 8 pounds of boost without knowing if the turbo they were planning on would have enough airflow at 8 psi to even meet stock hp levels. Deg F Typically intercoolers are used to drop compressed air discharge temperartures. A typical entry is 130. To run calculations on this use our Intercooler Calculator. 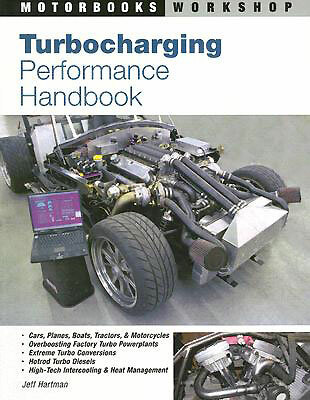 For a comprehensive look at turbocharging we recommend Jeff Hartman's book. It has extensive formulas and plenty of up to date pictures to guide your project on its way. It covers every aspect of turbocharging. Probably a good idea to read up on things before you start cutting, welding, and spending money. It features RB Racing's Bonneville Harley engine on the cover when the Bonneville Bullett's turbo system was being designed.